Buying a new car? Surely a great news for you and your family! But don’t you think an ordinary car will be lost in the fleet of thousands when it hits the road? This is, in fact, a problem that almost every car owner faces. More so, because almost all of them want their cars to stand apart even when there are lines of cars running on the road. So, how can you make your car unique? There might be quite a few ways to do this. You can even give your car a makeover. But most of these are quite expensive to say the least. Yes, there surely is. And it’s quite easy as well. You can use private number plates for this purpose. And that’s one of the cheapest, yet best ways to personalise your car. How can a private number plate help you? The Bard might have said, “What’s in a name”, but that’s not true when it comes to personalizing your car. Because it’s your name with which you are known to everyone. What if your car also has your name imprinted on it? Getting it on the car might not be the right idea. But you can always get a private number plate that bears your name. But when you do that, make sure it’s a combination of both, numbers and alphabets. Turn a few alphabets to numbers. For example, you can change the ‘A’ in your name to ‘4’ or an ‘E’ to ‘3’, although it appears inverted. At times, even half of your name on the number plate can look amazing on the number plate at times. Using the name can be the perfect way to personalise your car’s number plate and people will continue staring at it as the vehicle hits the road. When is your birthday? Or anniversary? These are surely among the most important days of your life. Why not get then etched on the vehicle that you drive? Rather, on its number plate? It can be really a great idea. It is never difficult to get a specific date as the subject of the personalised number plate of your car. That’s because in a date, you already have both – the alphabets and the numbers. So, all you need to do is just get a number plate that shows the specific date registered from the DVLA and get it attached to your car. You can even add the phrases like ‘DOB’ or ‘ANV’ for date of birth and anniversary, respectively. This can be a perfect way to remember the events of the day and keep it fresh in your memory. What’s Your Hobby or Profession? You can let the world know about it. And for that you don’t need to shout out loud. All you need to do for that is get a car number plate that says about the hobby that you have. For example, if you love to play chess, you can get it etched on the number plate as ‘CH355’ and so on. 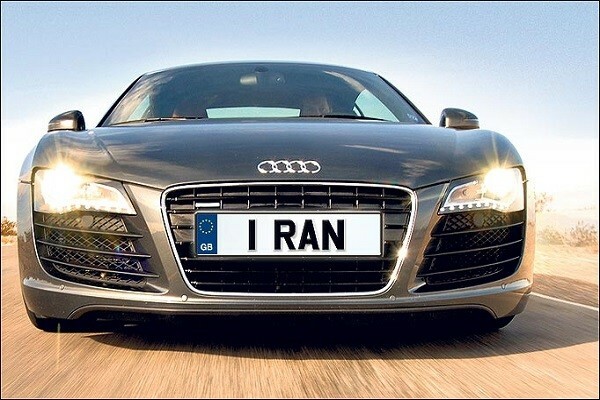 This is regarded as one of the best ways of personalizing your car with the number plate. You can even have your profession etched there. If you are a doctor, you can have the alphabets arranged as DOC to reveal the work that you do. If you are looking to personalise your car and make it your own, using number plates can be really an amazing way. It offers you a lot of options. You will be spoilt for choice. And yet, all of these can be done at a cost that’s not exceedingly high as well. But for that, you should immediately decide the type of personal number plate that you want and get it registered from the authorizing body. Once you have that on your car, it is sure to look amazing and stand out among the fleet as something that belongs specifically to you.